This is a handy guide to help you with some of the technical terms you may hear us refer to in other guides or in your YouView box manual. 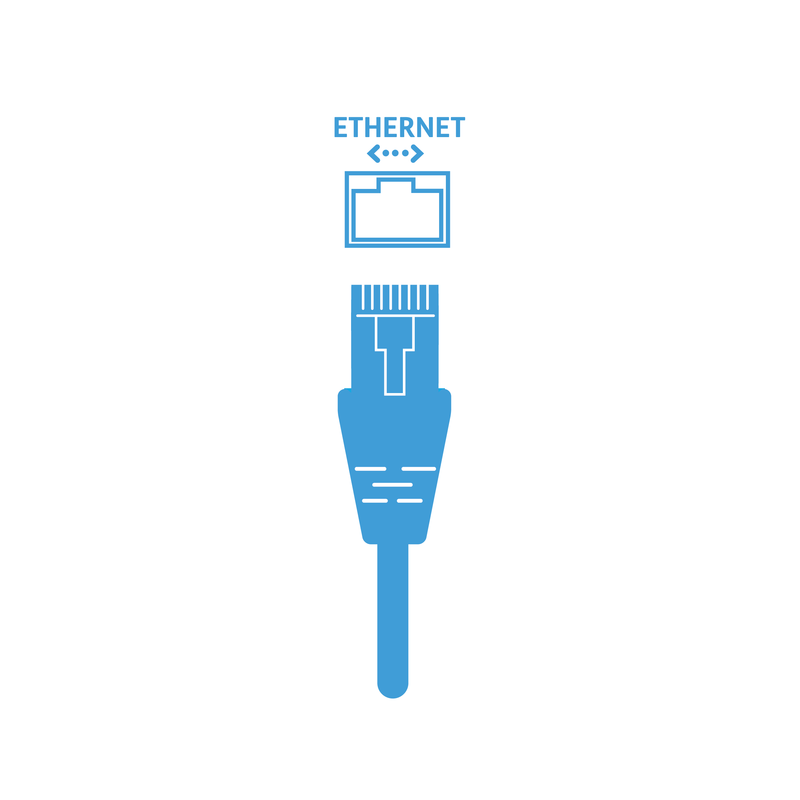 Ethernet cable & Ethernet port – YouView boxes do not support WiFi so you need an Ethernet cable to connect your box to the Router or Powerline Adapters. 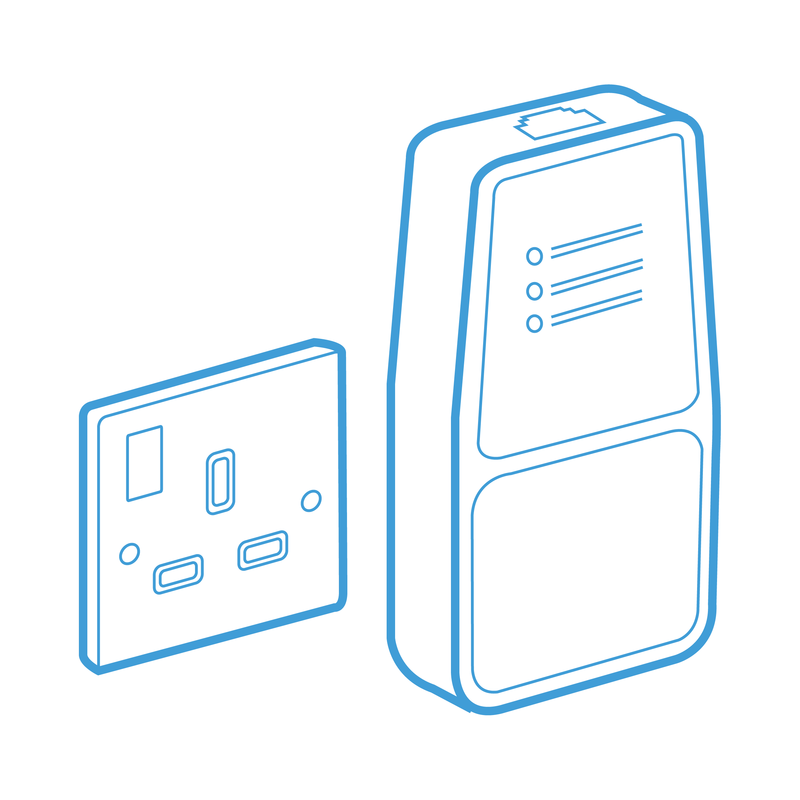 Powerline Adapters (PLAs) - These can be used when your router and YouView box aren't close enough to be connected by an Ethernet cable. They usually come with two plugs; one plug which connects to your YouView box via Ethernet cable and the other gets plugged in near your router and is also connected by an Ethernet cable. These are easily found online or on the high-street. 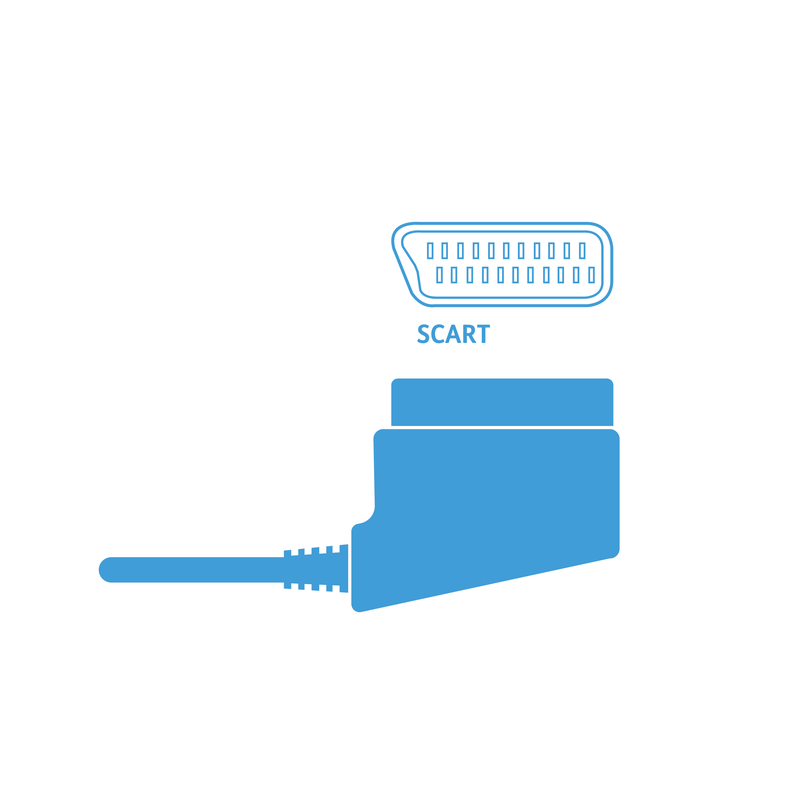 SCART cable – SCART is only capable of processing SD content. 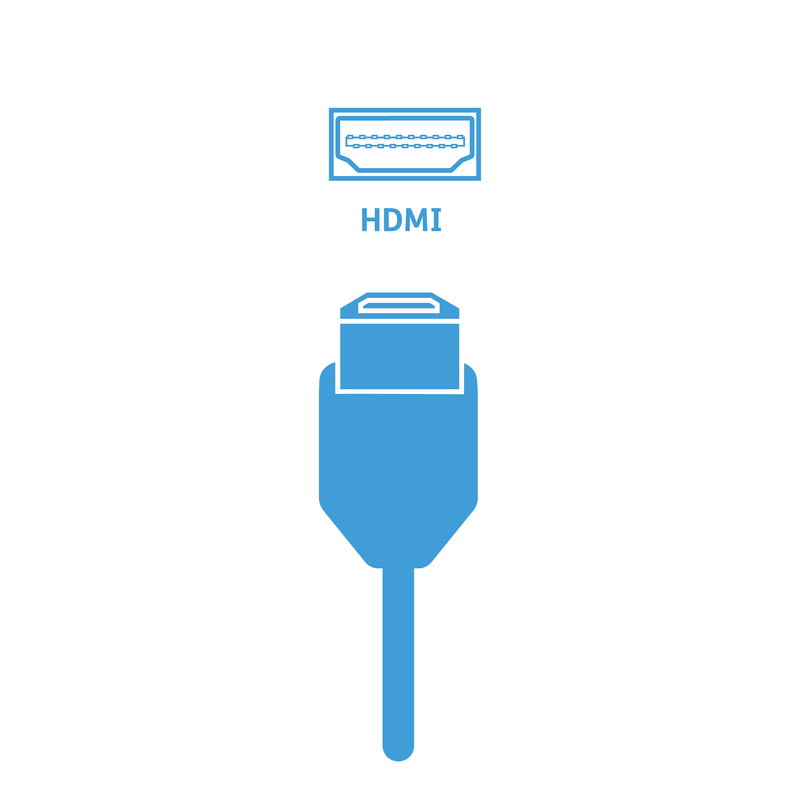 If you want to make use of HD channels and content on your YouView box, we recommend using an HDMI cable. HDMI cable - HDMI is short for High Definition Multimedia Interface and is the most commonly used cable for connecting your YouView box to the TV as it carries a higher quality picture and sound. 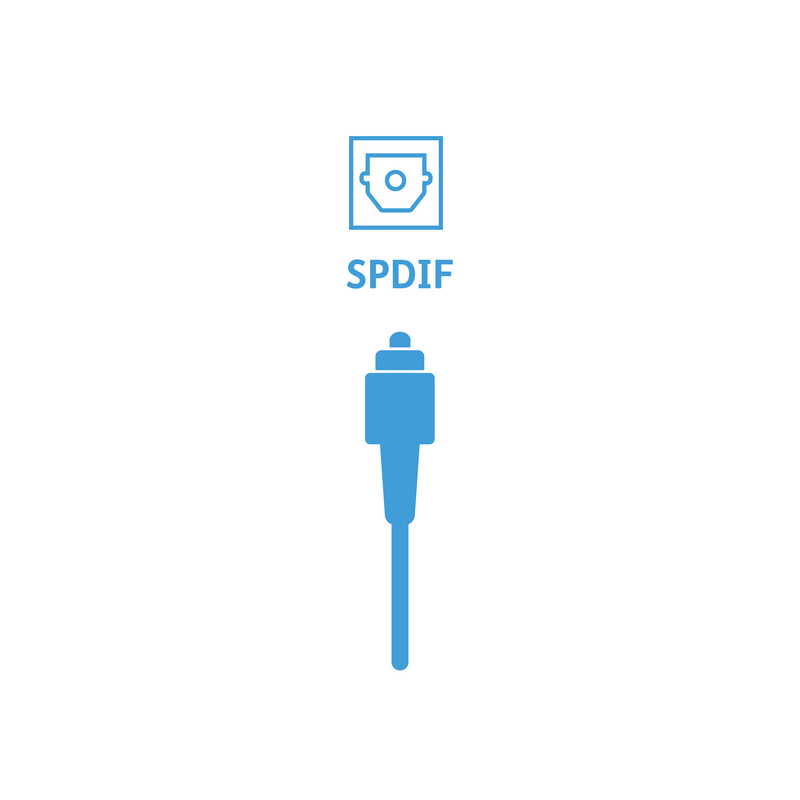 SPDIF - A SPDIF cable is used to connect your audio equipment such as surround sound and speakers to your YouView box. USB - A USB can be used by a number of devices for accessibility purposes e.g using a keyboard as a remote. Content Provider – A Content Provider is a company that provides the programmes for the channel you are watching. This includes companies such as BBC, ITV, Channel 4, Channel 5 and Sky. channels are delivered over the internet, you need to have an internet connection for them to be viewed. DTT – Digital Terrestrial Television; this is anything viewable through your aerial and not through the internet. Broadband provider – This is whoever provides the internet to your household. YouView don’t provide the internet so if you’re having some trouble with your internet speed or connection, we recommend you reach out to your provider. Aerial – The aerial delivers Freeview content onto your YouView box and TV. 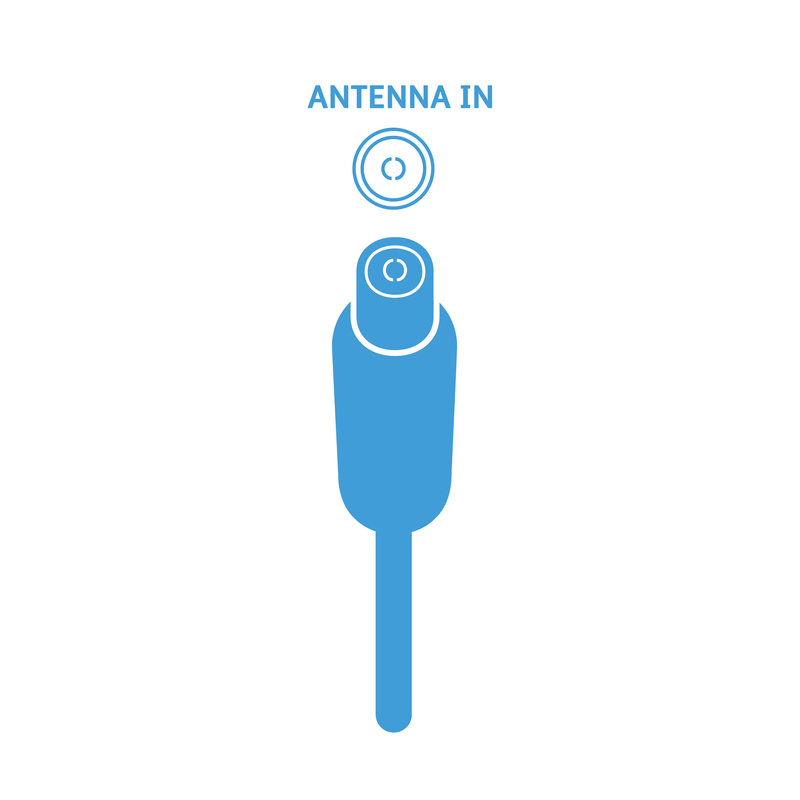 Transmitter – A transmitter sends the TV signal to your aerial and into your box. 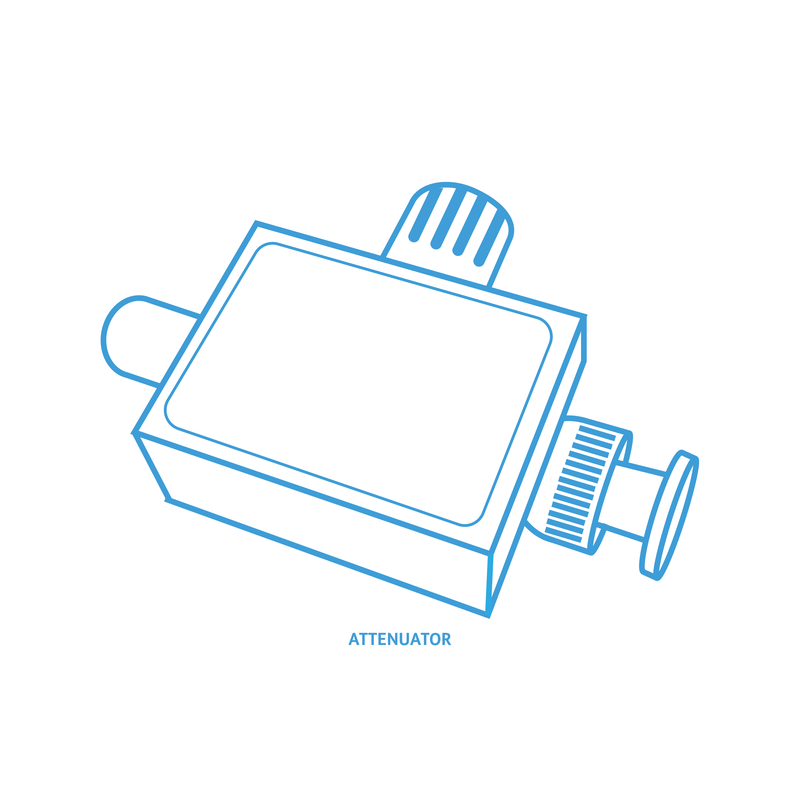 Attenuator – Can help to reduce the signal strength to your box if it is too high. 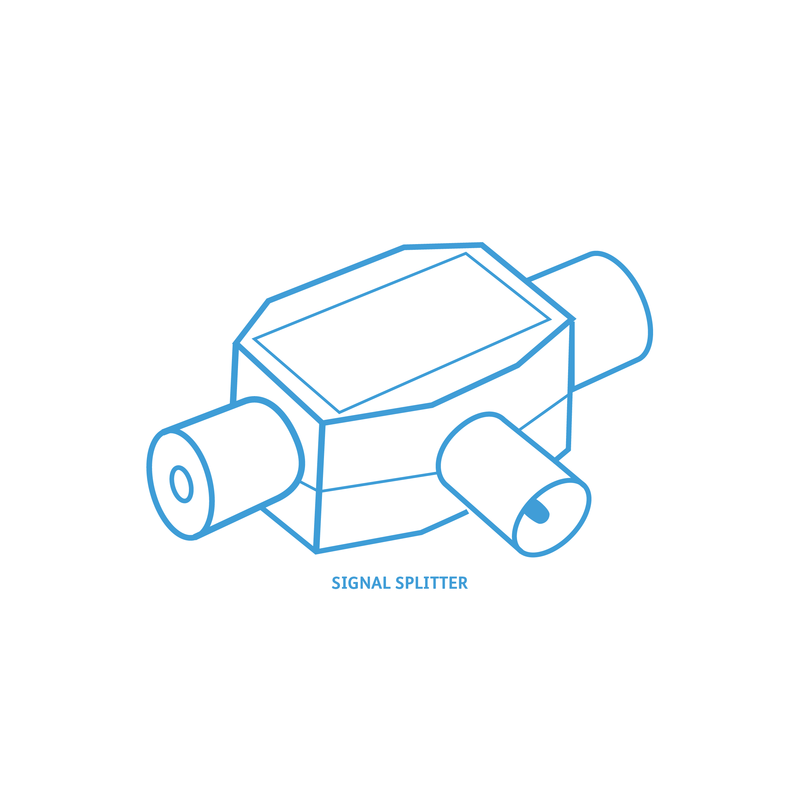 Signal Splitter – If you want to connect an aerial to different devices in your home, you may want to use a splitter. 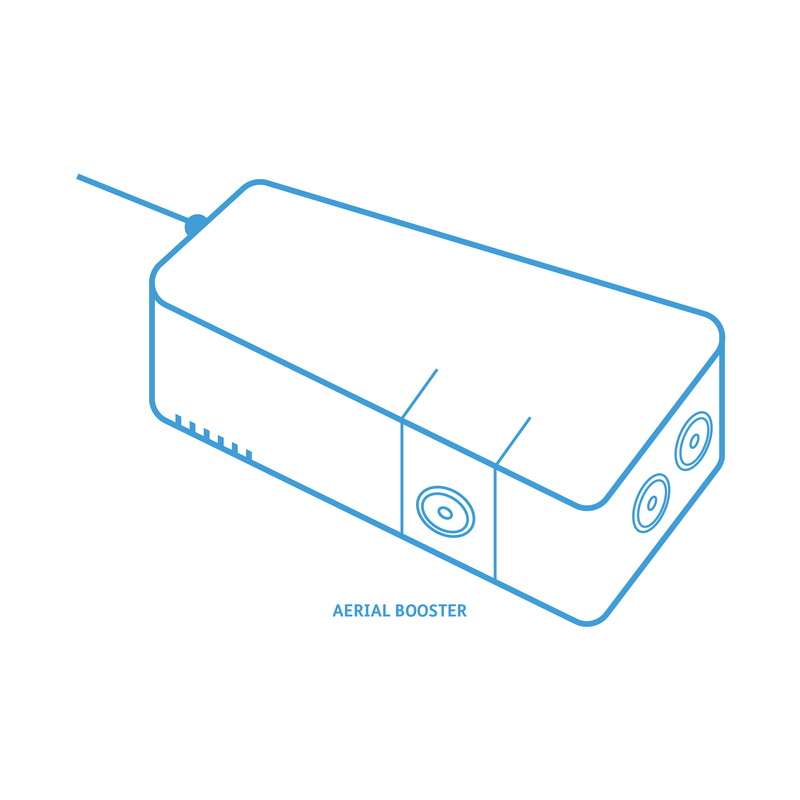 Aerial booster/amplifier – These can help to give the signal a boost if your signal is on the weaker side or if you’re quite far from a transmitter. Multiplex (MUX) - A bundle of TV services that have been combined for transmission to the viewer over a single channel. The UK has eight national terrestrial multiplexes. There are three public service broadcaster (PSB) multiplexes - BBC A, BBC B and D3&4 - and five commercial multiplexes - SDN, ARQA, ARQB, COM7 and COM8.